If you’re already hard-pressed to remember what name your bank is using this week, get ready for another one to change names and logos. Xenith Bank, with one Outer Banks location in Kitty Hawk, will change its name to Atlantic Union Bank around mid-year, according to a press release from Union Bank & Trust, Xenith’s parent company. 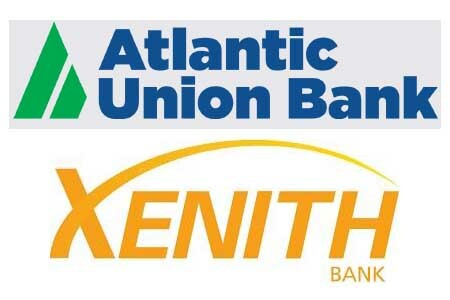 Richmond-based Union Bankshares, which operates under the tradename Union Bank and Trust, purchased Xenith bank in January 2018 but left the Xenith name in place for their North Carolina locations as another bank in the state was already using the Union Bank name. In February of this year, Union Bankshares announced the purchase of Access National Bank, which operates branches primarily in northern Virginia. In their press release, Union Bankshares also revealed they would be uniting all three brands under the newly created name Atlantic Union Bank. The name change won’t be official until approved by shareholders at the parent company’s annual meeting in early May. The merger is also subject to regulatory approvals. For those keeping score, the Xenith location in Kitty Hawk was originally known as Gateway Bank, which was founded in Elizabeth City in 1998. At one time Gateway also operated branches at a second location in Kitty Hawk and another branch in Nags Head. Those branches closed shortly after the Bank of Hampton Roads acquisition. In 2009, Gateway Bank & Trust was purchased by Bank of Hampton Roads, but the Outer Banks locations continued to operate under the Gateway Bank moniker. In 2016, Bank of Hampton Roads acquired Richmond-based Xenith and adopted the newly acquired bank’s brand for the entire company. It is estimated the new bank will have combined assets of $16.8 billion, deposits of $12.2 billion and loans of $11.9 billion according to the Union Bank & Trust website. Atlantic Union will have branches in three states; Virginia, North Carolina and Maryland. At least initially, Union Bankshares also announced it would continue trading under its NASDAQ stock symbol UBSH.